Research institutes such as the McKinsey Global Institute regularly publish reports indicating a high risk of job loss caused by progressing automation and robotization. In the report from January 2017, specialists estimate that in 60% of occupations, 30% automation is possible, of which 5% of works can be fully automated, which means the disappearance of these professions. A little scary, right? However, looking more broadly, since the beginning of time, we have been observing the process of creating and disappearing professions. Other statistics from this report say that by 2030 at least 300 million people around the world will have to change their clothes. What works will be performed by these people, now we do not know, but we will see it in less than 12 years. In the meantime, it is worth considering why companies want to automate and invest in robotization at all, and is this really a negative impact on our workplaces? The obvious reason is want to increase profits. Enterprises exist to earn money In order to do this they must be competitive, offer an attractive product with good quality and a price that will be paid by the buyer. Robotics and automation are certainly a tool that allows you to ensure stable quality and production efficiency. Second, paradoxically, many companies have a huge problem in finding skilled workers, and to one hundred parts lying growing demand for larger image Relationship production becoming a choice: either develop a bullfinch. In this situation, robots fill the gap and constitute a significant help in maximizing work resources. However, the introduction of robots often faces significant resistance from employees who are afraid of losing their jobs. This fear is unfounded, and its cause is GL Packages and think before changing k, gdyÄ¹Åº actually more of Molz a tie, with the previously mentioned, przebranÄ¹Åºowieniem or acquisition of new skill tnoÄ¹ you. c Objectively looking, but it is a favorable situation for workers who moÄ¹ÅºliwoÄ¹ you new win-win development, higher! Qualifications, and their satisfaction and job satisfaction grows not. Thirdly security. According to the research published on the CIOP website, more than 90% of accidents while working in the whole economy are caused by incorrect employee behavior, while for the processing industry this percentage is over 50%. Among the misplaced ones, it is possible to disregard the threat and instructions, insufficient concentration on the performed activity, surprise with an unexpected event and the drive. This particularly applies to repetitive tasks in the production and storage space, such as transport of cargo from place to place. 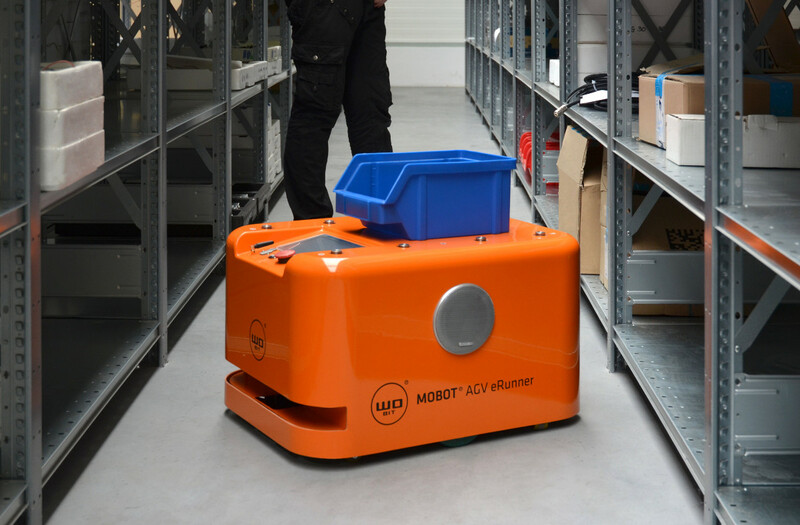 Tasks for which were created MOBOT® AGV mobile robots. They are equipped with special sensors that ensure their safe work in the surrounding of people, more about here . Robots carrying heavy loads between designated points improve people&apos;s work ergonomics , who can develop their competences in other, more interesting tasks. Robots never lose concentration, do not have to do what they need to recharge the batteries. They always have the same repeatability and reaction , no matter what happens in your personal life. Robots never rush, they perform tasks at a programmed time, therefore it is easier to plan the use of resources and optimize processes. To conclude, will robots take work from us? Yes, it certainly did, but it should not be a reason for worrying. Automation will give us the opportunity to improve our own security, acquire new qualifications, cut us off, and improve our profits, and thus our earnings. Let us remember, however, that they remain open to change and have the desire to acquire new competences.